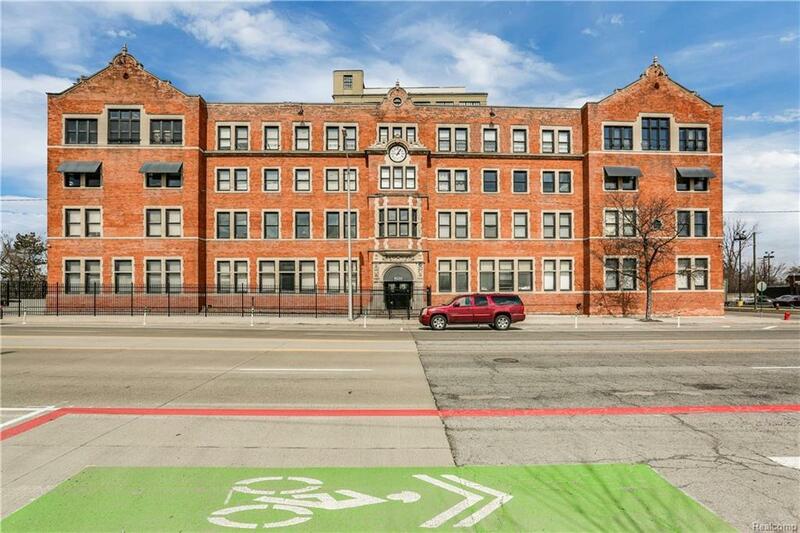 Stylish condo in desirable Lofts at Rivertown across from Belle Isle. One bedroom with walk-in closet, spacious living area plus office/bonus room. 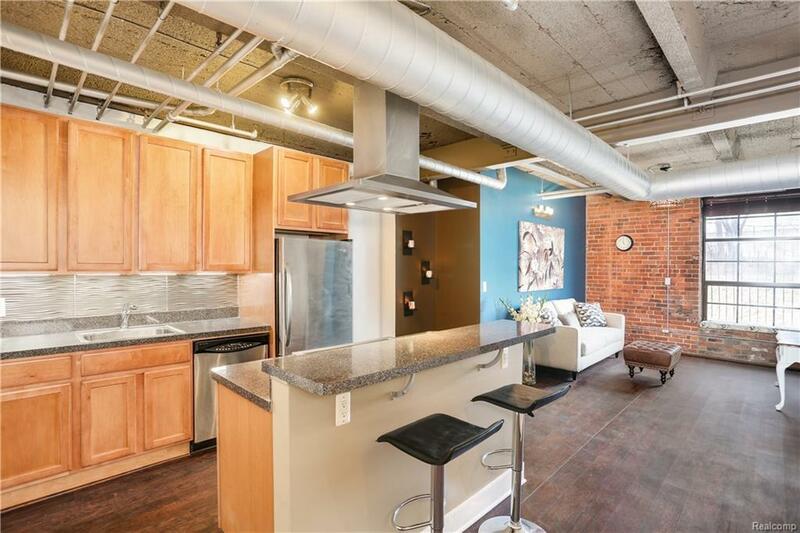 This classic loft features exposed brick, high open ceilings with exposed ducts and beams, and luxury vinyl tile floors throughout. Open concept kitchen/living room with island, stainless hood fan, under cabinet lights, stainless backsplash, and stainless steel appliances. Loft is off a quiet hallway. Large windows overlook enclosed, secure outdoor green space and let in lots of natural light. Brand new heat pump provides heat and cooling. Owner pays low electric bill as the only utility. 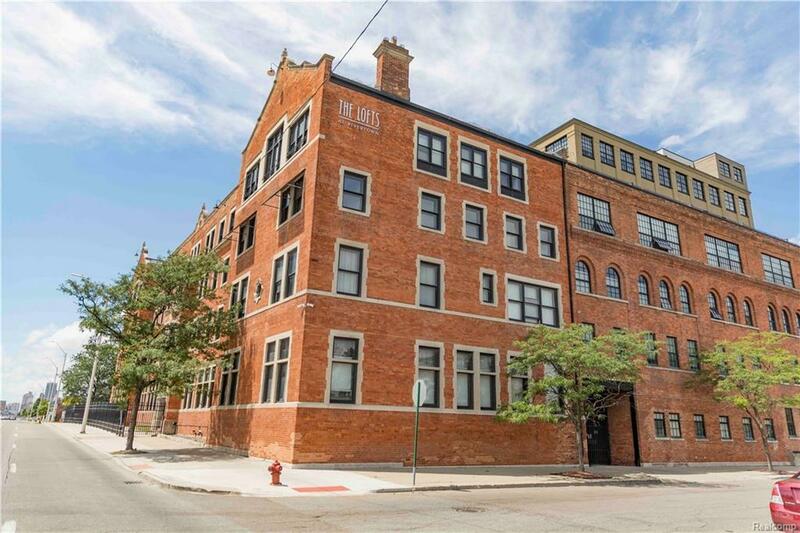 Excellent proximity to West Village and downtown Detroit. Building complex is gated and provides 24/7 security, carport parking, outdoor pool, fitness center, and large community room. This is truly the best value for a loft in the city. 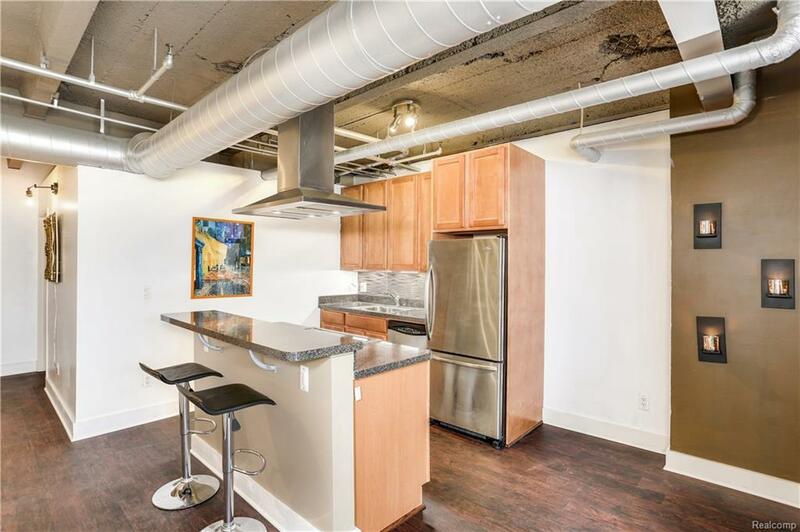 If you are looking for an authentic loft living, this is for you.